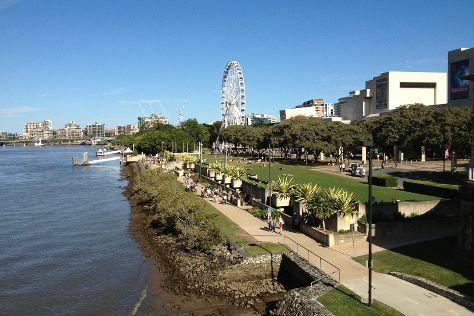 Kick off your visit on the 2nd (Sun): take in nature's colorful creations at Roma Street Parkland and then let the kids burn off some steam at South Bank Parklands. Here are some ideas for day two: identify plant and animal life at Lone Pine Koala Sanctuary and then get great views at Mount Coot-tha Lookout. Singapore, Singapore to Brisbane is an approximately 11-hour flight. You can also do a combination of flight and bus; or do a combination of bus and flight. The time zone difference when traveling from Singapore to Brisbane is 2 hours. When traveling from Singapore in September, plan for slightly colder days in Brisbane, with highs around 28°C, while nights are cooler with lows around 15°C. Finish your sightseeing early on the 3rd (Mon) to allow enough time to drive to Gold Coast. Start off your visit on the 4th (Tue): admire nature's wide array of creatures at Sea World Theme Park and then find something for the whole family at Infinity Attraction. 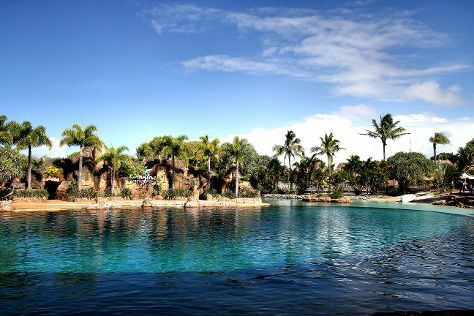 Get ready for a full day of sightseeing on the next day: find something for the whole family at Warner Bros. Movie World, kick back and relax at Surfer's Paradise Beach, and then get in on the family fun at Sling Shot & Vomatron Amusement Rides Gold Coast. For other places to visit, traveler tips, photos, and more tourist information, read Gold Coast tour itinerary maker tool . Traveling by car from Brisbane to Gold Coast takes an hour. Alternatively, you can take a bus; or take a train. In September, daytime highs in Gold Coast are 27°C, while nighttime lows are 15°C. Cap off your sightseeing on the 5th (Wed) early enough to travel to Sydney. Sydney is known for nightlife, trails, beaches, parks, and museums. 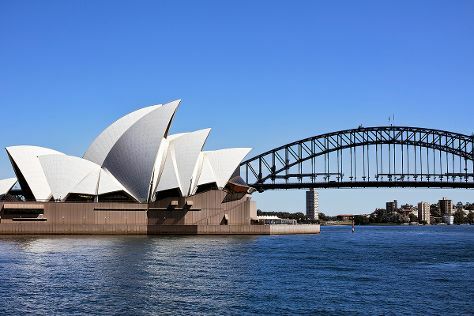 Your plan includes some of its best attractions: take in the views from Sydney Harbour Bridge, trek along Bondi to Coogee Beach Coastal Walk, take in nature's colorful creations at The Royal Botanic Garden, and kick back and relax at Bondi Beach. For other places to visit, maps, ratings, and tourist information, refer to the Sydney online trip builder . Getting from Gold Coast to Sydney by flight takes about 3.5 hours. Other options: do a combination of train and flight; or drive. September in Sydney sees daily highs of 25°C and lows of 14°C at night. Wrap up your sightseeing by early afternoon on the 8th (Sat) to allow time for travel back home.